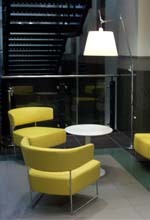 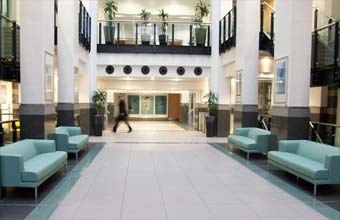 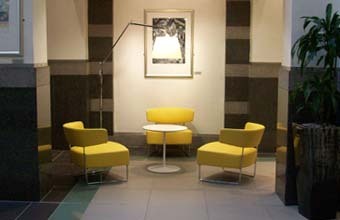 Saltire Court is a prestigious business development over looking Edinburgh Castle on Castle Terrace. 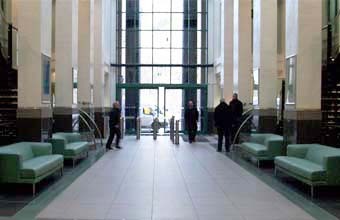 It is the centre for businesses like Martin Currie Investment and Dundas and Wilson Solicitors. 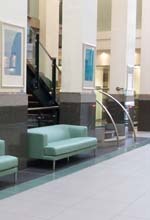 When wanting to change the branding and appearance of their entrance lobbie they chose Inhouse for lighting and break out furniture.